You'd think if someone was caught having an affair that they'd make a full confession. You'd think they would know if they wanted to stay or leave. You'd think they would be able to explain why they were unfaithful. You'd think if they promised to 'fight' for their marriage that their actions would match their words. But for lots of people recovery is not so straightforward and takes far longer than they would have imagined on discovery day. Sometimes the person who has been unfaithful vows to do 'anything' to make it better but the next day sabotages everything. Sometimes the discoverer of the infidelity is constantly besieged by horrible images or overcome with anxiety - even though they want to move forward. Sometimes the betrayal has been so great - several affairs, hook-up sites, prostitutes or cheating with a friend - that recovery is much harder. Alternatively, the couple's marriage was so close or they were childhood sweethearts that the pain is doubled and quadrupled. •50 case histories so you don't feel so alone in your struggle. •How to diagnose why you're feeling stuck. 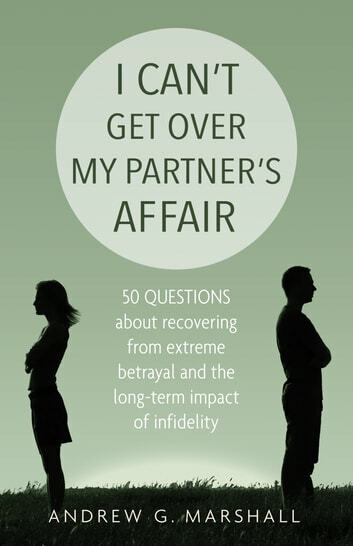 •The common myths about infidelity that make recovery harder. •How to communicate better with your partner and stop arguments going round in circles. •How to turn the pain of infidelity into something positive.